Do you have a negative body image or low self-esteem that hinders you from making any forward progress with your goals of losing weight and living a healthy lifestyle? Here I want to share with you how a simple, daily practice of meditation can help you grow confidence in yourself, improve the image you have of your body and lead you to lose weight more effectively and in a much healthier way than a traditional diet. 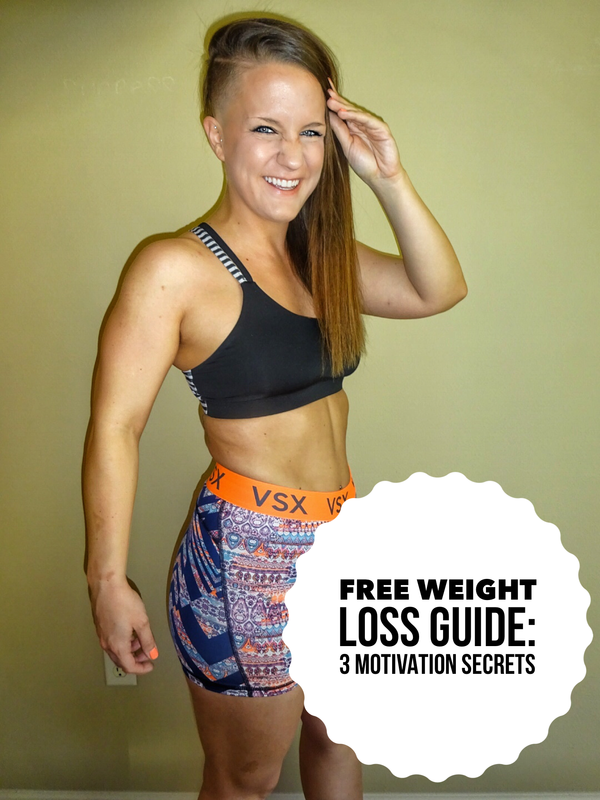 Have you lost weight before but had trouble managing it? A common problem with popular diets is they don’t teach you the basics of how to develop healthy habits that allow you to live a healthy life long-term. In our free online weight management programs, we provide you with a personal health coach that guides you on how to eat the right foods, how to meal plan correctly and what the right products are for your weight management and lifestyle goals. Fill out the form on our coaching page to be contacted to learn more about our programs and how support and accountability from a coach can help you manage your weight-loss. You may first ask, what is meditation? There seems to be many false impressions or opinions on the subject out there that may deter some people from starting the practice. That is unfortunate because meditation is something I believe everyone should take part in on a daily basis. Now obviously that is a simple definition, however, it encompasses about all you need to understand about meditation. There isn’t much you really want to spin your head about thinking. The more try to understand it, the more confused you will become. Meditation is simply time to yourself in silence (or listening to relaxing music) where you focus on your breath, clear your mind and just relax. That’s really the basics. You can either lay on a bed, sit in a comfortable chair or relax on the couch. Anywhere you are sitting or laying down and feel relaxed is exactly a spot you can meditate. One very important concept to remember on this subject is, don’t make it complicated! Use meditation as a simple time to breathe deeply and develop a more peaceful state of mind. Now that you understand the basics of what meditation is, you may be wondering why you should begin the practice? Although there are many reasons, I’ll share 3 important benefits that meditation can offer anyone, no matter what your situation in life happens to be. Remember, meditation has too many benefits to count, but don’t focus on numbers or facts when thinking about mediation. The whole process is really about feeling more peace, a free state of mind that allows your mind to wander yet at the same time helps you develop a great sense of focus. The most important benefit of practicing meditation is intangible but very important for improving your life. Developing a greater peace of mind and serenity from meditation can not be measured or compared to any other practice in the world because of the immense implications it will have on anyone’s life. Feeling more calm and at peace with the circumstances and situations you encounter is very important for living a successful and more fulfilling life. Daily meditation can offer you this with even very little effort on your part. Improved physical health is a direct by-product of meditation. Science has now proved it. If you seek to lose weight, feel more energy or sleep more soundly, meditation will improve all three of these areas for you. Directly and indirectly this practice will make dramatic improvements in the health of your physical body. Time management and organization are popular topics for a wide range of people who look to self-development or improvement in their personal lives or career path. Meditation can have extreme benefits in helping you properly manage time, organize activities and stay calm and peaceful when responding to your daily situations or challenges you face. If you feel too busy or overwhelmed in daily tasks or obligations you may have, meditation will provide you with that calmness of mind you need to meet each problem head-on with a more positive and successful attitude. We provide you with personal coaching, assistance with meal planning and weight-loss goal setting to help you get into the best shape of your life. We run local weight-loss challenges in the Kansas City area OR online weight-loss challenges for anyone with a goal to feel better and get into shape. For more information on how you can enter our next challenge, fill out the form on our coaching page to reserve your spot! I’ve now mentioned a few times how well meditation does to heighten your sense of peace, calm your mind and make you feel more calm and at ease with situations and circumstances you face daily. This not only works to improve your emotional health but your physical health as well. It is wonderful in reducing stress and lowering or eliminating anxiety levels. Stress has shown to be a huge deterrent and negative influence on health and longevity. Taking back control of your emotions and reducing your stress levels goes a long way to improving your physical health and longevity. Because of the increase of your personal awareness through more peace of mind and a feeling of calmness, you will tend to choose to choose healthier foods that fall in line with a healthy lifestyle. Meditation will improve confidence in yourself and lead you to want to eat more fruits, vegetables and healthy foods that are conducive to a calm, healthy and happy individual. Meditation will help you to possibly eliminate and at least reduce your dependence on prescription medication drugs for a wide range of physical issues you may have. Meditation creates relaxation which in turns provides a host of benefits on your immune and cardiovascular system. Who needs to take medication for an issue you don’t have? Meditation (if practiced correctly and daily) CAN help you get there. Now that we have gone over what meditation is, the benefits you will attract from the practice AND specific ways it will improve your overall physical health, we can now discuss how meditation greatly improves your ability to lose weight in a healthy way and continue to manage it through living an overall healthy lifestyle. If you have good weight loss goals that are realistic and you feel are attainable, there is no question that adding in the daily practice of meditation will help improve your results immensely. Healthy and consistent weight-loss is all about simple, daily habits that continually compound over time. Eating right, staying hydrated and practicing workout routines that you are comfortable with are essential. The one habit you may not currently practice that can help you lose weight faster and more consistently is meditation. Even if you only have 5 minutes of free-time each day (I know you have more) you would still would see tons of improvements in your health if you committed to just 5 minutes per day. Low self-confidence and low self-esteem may very well be your largest deterrent that is keeping you at a plateau or constantly starting a new diet yet getting the same results over and over again. Meditation will be the practice that gives you the greatest results in the area of self-confidence. Greater self-confidence will help you lose weight at a greater rate because you will feel better about your body, have more faith in your abilities and want to treat your body much better. The more confidence you have the better your dietary and fitness habits will be. Reducing your stress and anxiety levels will do more for your weight-loss goals than you may ever believe. Stress and anxiety are always putting your body in the ‘fight-or-flight’ mode which will reduce your metabolic rate, lower your quality of sleep leaving you exhausted at all times and not allowing your body to properly absorb the nutrition from your diet. Meditation can help you lower your stress levels which will boost your metabolism, burn more calories and help you sleep better and in turn provide you with more energy throughout the day to keep consistent on your fitness program. Time spent in meditation is relaxing, calming and peaceful. It will vastly help improve you focus and concentration levels. Focus and concentration are important skills you need to develop to help you stick to your weight loss goals. So many people set goals to lose weight and get healthy, but how many do you know who quit? Being able to constantly focus on the end goal (you at your perfect, desired weight) is crucial for you to stay consistent on your meal plan. Any great health coach will tell you the importance of focusing on how your goals achieved makes you feel. This is what meditation can provide you: a time completely to yourself you can keenly focus on yourself looking slim, tone-up and with the self-confidence you desire. Quick overview on simple techniques and tips to help you meditate properly if you are a beginner and just starting out with the practice. Remember, like mentioned above, try to make meditation as simple as possible. The more you think about it or try to understand how to do it the more complicated it will come. Stick to these few simple steps and you will become a meditation master in no time! Headspace is the greatest place to start with meditation if you are a beginner. It offers a wide-array of guided meditations and simple practices that will get you started the right way. It’s fun and engaging as well as there are fun challenges and points you can accumulate. This is another simple way to start meditation as it only takes 10 minutes and is a great way to improve your focus and concentration. It may take you awhile to get used to the practice and may seem weird at first just sitting there. Your mind may begin to wander but that’s Ok. The more you practice the easier it will become to just sit there and relax. You now know the massive positive effects meditation has weight-loss and helping you improve your focus on your goals and staying consistent towards them with a calm and peaceful state of mind. Faith in your abilities from an adequate level of self-confidence is a direct result from practicing daily meditation and will continue to be very important in helping you live a healthy and active lifestyle. The question now, what practical ways can you meditate for weight loss throughout your day? Yoga is a great physical and spiritual activity that offers a wide array of benefits. It is a great practice to improve your physical results like losing weight and will also help you with your fitness goals. In a good amount of yoga practices you will find time taken out in the beginning or end of the practice to close your eyes and focus on your breath. This is time for meditation and is a common practice in Yoga. IF have weight-loss goals and want to use meditation to help you reach them, I suggest Yoga as an awesome way to get fit but at the same time improve your peace of mind. Look for local practices where you can go and meet new people and at the same time learn from a teacher who is willing to teach you the basics and help you improve. If you are local to Kansas City the best Yoga studio is by far In Bliss Yoga. I highly recommend starting their as a beginner in your journey. A great spot to meditate is after your workouts or runs outside. If at the end of a fitness workout you like to lay on a mat or do abs on a mat, that is a great place to lay down and close your eyes. Even if it is for 5 minutes just laying there and focusing on your breath and focusing on how proud you are of yourself for finishing your workout with go a long ways in improving your self-esteem. After a run outside you can sit in the grass at your local park and close your eyes and feel the nice, warm sunshine. Anywhere you can find a few minutes to relax is a great place to stop and meditate. The most obvious place to meditate is a room you can be alone in your house or apartment. All you need is 5-10 minutes of time where you won’t be disturbed and you can sit or lay on the couch and get right into a quick session. Overall to sum this topic up, meditation is a simple technique literally EVERYONE needs to implement somehow into their daily routine. If you want to improve any area of your life, meditation can help you do it. Weight-loss is so common in today’s society and among many of our clients that I think this article is important to educate on how meditation is so powerful for healthy and consistent weight-loss results. Improving your physical health can at times seem like a large and daunting task, but it really can be made simple by practicing fun daily habits that promote better nutrition in your diet and well-being in your lifestyle. That’s why having a health coach can be so beneficial to reaching your goals. We all need accountability and support, someone who is there when we feel down to provide us with some motivation or when we succeed to provide us with praise and encouragement. I hope these practical tips on weight-loss and meditation provided you with value. Please share on Facebook or with anyone interested in losing weight in a healthier way!